To give you a better understanding of diamonds, in general, we have decided to write more about diamond clarity. So, first will try to explain what the term clarity refers to in this context and how you can use it in order are to become better at determining diamond value. Hopefully, this text will provide you with basic guidelines regarding diamond clarity, and you will have a better understanding of not only diamond clarity but also diamond value. The first question we would like to answer is what clarity is in this context. So, when it comes to diamonds, clarity is used to refer to the state of being clear or transparent. It is also used to talk about presence or absence all characteristics which are called blemishes or inclusions. Blemishes or inclusions are natural parts of any diamond, as no diamond can be 100% clear. However, the cleared are diamonds ,more valuable they will be. The larger inclusions will have the impact on the clarity grade, as will the nature of inclusions. When the clarity of the diamond is being established, the present inclusions are graded according to their relative visibility and the impact they have on the visual appearance of the diamond. In other words, the severity and the size of the inclusions which are considered to be flaws of a diamond will determine the grade to which a diamond belongs. Many of the present inclusions and blemishes are usually extremely small, which reason they cannot be seen with the naked eye. To see these inclusions, experts need to use 10x magnification. Using this kind of magnification is also considered to be standard when determining the final clarity grade of a diamond. The clarity grade is determined on a clarity scale. This scale goes from the highest clarity which is referred to as flawless or FL to the lowest clarity which is referred to as included three, or I3. Because descriptive terms in the past were vague, the majority of jewelry experts will use the modern scale invented in the 1950s as a universal standard for the description of a diamond’s quality. This scale goes from Flawless or FL, Internally Flawless, VVS1, VVS2, VS1, VS2, S11, SI2, I1, I2, and I3. In case that you want to find a perfect diamond that will eventually be in your family for generations, then you may want to learn more about diamonds’ durability and how to make sure that your piece of jewelry will truly be an investment for the future. In case that you want to get yourself a diamond or a piece of jewelry that will last, then you should also learn something more about how to pick the right diamond and inspect its quality. 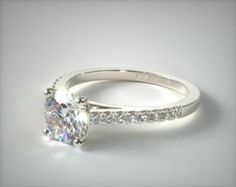 We have written so much about it, but have we mentioned that truly rare and valuable diamonds are also very expensive! That being said, a truly valuable diamond will last, and it will not lose its value like other things might. Even money can lose value, whereas diamonds are investments like no other. What Dictates A Diamond’s Durability? You have probably seen countless of times that people in movies cut glass with real diamonds. It is because truly impeccable diamonds are supposed to be very durable. For a diamond to be exquisitely beautiful and durable, it should not have any blemishes, and it should be as clear as possible. It is why clarity is one of the four Cc, together with cut, color, and carat. Getting a valuable diamond should be considered an investment in every sense of the word. It is something which you can always trade, and it will not lose its value. It will stand the test of time, and it makes a lovely gift or family legacy. It is quite understandable why people choose to invest in jewelry after all. It is more than the just luxury item; it is a legacy which you can leave for generations to come. If you are interested in learning more about diamonds in general for your next purchase you can visit various diamond sale Internet sites. But there is no need to do that since you are already here! Today we will talk about how to take care of your diamond once you have already bought it, and what can you do in the case that you are not satisfied with the diamond you bought online. 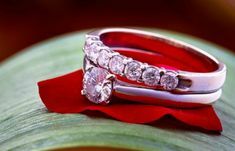 When it comes to taking care of diamond jewelry, it is a lot more complex than answering just a simple question. First of all, it depends on the type of diamond, but it also depends on the type of jewelry. 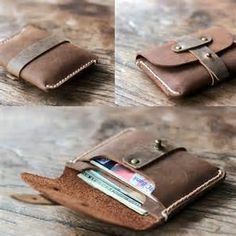 In addition to that, it will also depend on the person who is wearing it, in which occasions and how they take care of the jewelry. In case that you are wearing your diamond jewelry every day you might experience some problems sooner rather than later, buy it again depend on the size of the diamond and the type of jewelry. If the diamond is exposed, it is a lot easier for it to get lost or damaged. On the other hand, if you overall work all of the jewelry pieces is good then the jewelry will be more long-lasting. You have also probably noticed that if you do not wear your jewelry for a long period it will, gradually change color. If this happens with your diamond jewelry, it’s important not to try to clean it on your own. It is much more efficient, as well as a much better idea, to your diamond jewelry cleaned and taken care of by a professional. A professional will be able to clean your jewelry much better, and they will not damage it in any way – which may happen if you do this on your own. 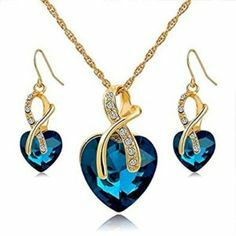 In case that you are not satisfied we did jewelry you bought online, it is always a good idea to contact the person/website that has sold it to you and see whether you can get the refund or possibly find a different piece of jewelry that you will be satisfied with. There is always the possibility and room for making errors when you buy things online, so make sure that you get a detailed description before giving your money online for a piece of jewelry.